Victorian architecture in America is not just one style, but a collective of many designs, each with its own unique array of features. The Victorian era is a time period, marking the reign of England's Queen Victoria from 1837 to 1901. It is an era that became a style, and here are a few of the most popular house styles — known collectively as Victorian architecture. The amazing builders of Victorian homes were born during the Industrial Revolution. These designers embraced new materials and technologies to create houses like no one had ever seen before. Mass-production and mass-transit (the railroad system) made ornamental architectural details and metal parts affordable. Victorian architects and builders applied decoration liberally, combining features borrowed from many different eras with flourishes from their own imaginations. 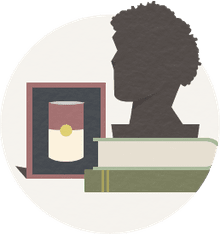 When you look at a house built during the Victorian era, you might see pediments characteristics of Greek Revival or balustrades moved from a Beaux Arts style. You may see dormers and other Colonial Revival details. You may also see medieval ideas such as Gothic windows and exposed trusses. And, of course, you'll find lots of brackets, spindles, scrollwork and other machine-made building parts. Victorian-era architecture was emblematic of the new American ingenuity and prosperity. During the 1840s when the Victorian era was just gearing up, Italianate style houses became the hot new trend. The style spread quickly across the United States via widely-published Victorian pattern books, many still available in reprints. With low roofs, wide eaves, and ornamental brackets, Victorian Italianate houses suggest an Italian Renaissance villa. Some even sport a romantic cupola on the roof. Medieval architecture and the great cathedrals of the Gothic age inspired all sorts of flourishes during the Victorian era. Builders gave houses arches, pointed windows with diamond-shaped panes, and other elements borrowed from the Middle Ages. Diagonal window muntins, as seen here on the 1855 Pendleton House, are typical of the 17th century Post-Medieval English (or First Period) style homes built by English colonists, such as seen on the Paul Revere house in Boston. Some Victorian Gothic Revival homes are grand stone buildings like miniature castles. Others are rendered in wood. Small wooden cottages with Gothic Revival features are called Carpenter Gothic and are very popular even today. Rounded towers, pediments, and expansive porches give Queen Anne architecture regal airs. But the style has nothing to do with British royalty, and Queen Anne houses do not resemble buildings from the medieval times of the English Queen Anne. Instead, Queen Anne architecture expresses the exuberance and inventiveness of industrial-age builders. Study the style and you'll discover several different sub-types, proving that there's no end to the variety of Queen Anne styles. Folk Victorian is a generic, vernacular Victorian style. Builders added spindles or Gothic windows to simple square and L-shaped buildings. A creative carpenter with a newly-invented jigsaw may have created complicated trim, but look beyond the fancy dressing and you'll see a no-nonsense farmhouse right there beyond the architectural detail. Often built in coastal areas, Shingle Style homes are rambling and austere. But, the simplicity of the style is deceptive. These large, informal homes were adopted by the wealthy for lavish summer homes. Amazingly, a Shingle Style house isn't always sided with shingles! Stick style houses are, as the name implies, decorated with intricate stickwork and half-timbering. Vertical, horizontal, and diagonal boards create elaborate patterns on the facade. But if you look past these surface details, a stick style house is relatively plain. Stick Style houses don't have big bay windows or fancy ornaments. On first glance, you might mistake a Second Empire house for an Italianate. Both have a somewhat boxy shape. But a Second Empire house will always have a high mansard roof. Inspired by the architecture in Paris during the reign of Napoleon III, Second Empire is also known as the Mansard style. Architect Henry Hobson Richardson (1838-1886) is often credited with not only reviving the medieval Romanesque architectural style, but also transforming these romantic buildings into a popular American style. Constructed of rusticated stone with rough surfaces, Romanesque Revival styles resemble small castles with their corner turrets and identifying arches. The style was often used for large public buildings like libraries and courthouses, but some private homes were also built in what became known as the Richardson or Richardsonian Romanesque style. The Glessner House, Richardson's Chicago, Illinois design finished in 1887, not only influenced the Victorian-era styles of American architecture, but also the future work of American architects such as Louis Sullivan and Frank Lloyd Wright. Because of Richardson's great influence on American architecture, his 1877 Trinity Church in Boston, Massachusetts has been called one of the ten buildings that changed America. The ornate spindles and knobs found on so many Victorian-era houses, especially Queen Anne homes, were inspired by the decorative furniture of English designer Charles Eastlake (1836-1906). 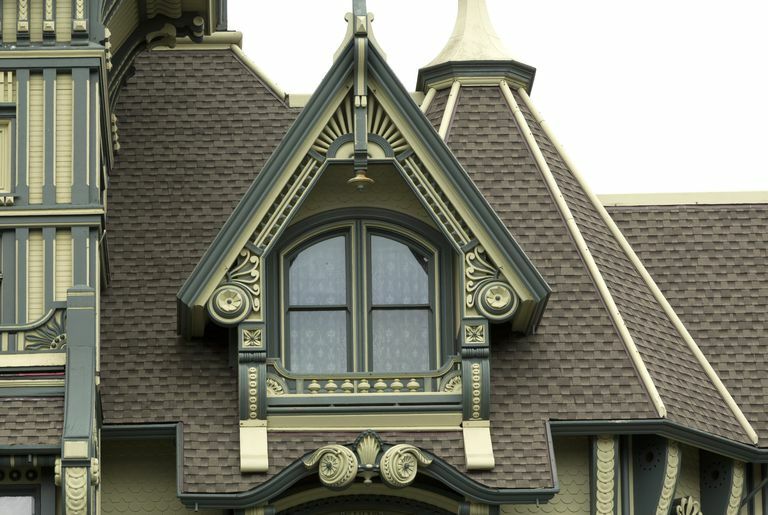 When we call a house Eastlake, we're usually describing the intricate, fancy detailing that can be found on any number of Victorian styles. Eastlake style is a light and airy aesthetic of furniture and architecture. In the mid-1800s, innovative builders experimented with eight-sided houses. The thought behind this design was a belief more light and ventilation was healthier in a sooty, industrialized America. The style became particularly popular after the 1848 publication of The Octagon House: A Home For All, or A New, Cheap, Convenient, and Superior Mode of Building by Orson Squire Fowler (1809-1887). Besides having eight sides, typical features include the use of quoins to accentuate the many corners and a cupola on a flat roof. The cupola on the 1861 McElroy Octagon House in San Franciso is not seen from this low angled photograph. Octagon houses can be found from coast to coast in the United States. After the Erie Canal was finished in 1825, the stone mason builders never left upstate New York. Instead, they took their skills and Victorian-era cleverness to build a variety of stately, rural homes. The James Coolidge Octagon House in Madison, New York is even more unique for 1850, because it is inlaid with cobblestones — another 19th century fad in more rocky locales. Octagon houses are rare and are not always inlaid with local stones. The few that remain are wonderful reminders of Victorian ingenuity and architectural diversity.